If you look at the comments on any one of Skating Polly’s music videos, you’re bound to come across a few Kurt Cobain and Kathleen Hanna comparisons. While their songs draw heavily from early '70s punk, '90s alt-rock, and grunge, Skater Polly’s music is distinctly energetic and fresh—a sense of the familiar presents itself in songs that sound like nothing you’ve ever heard before. 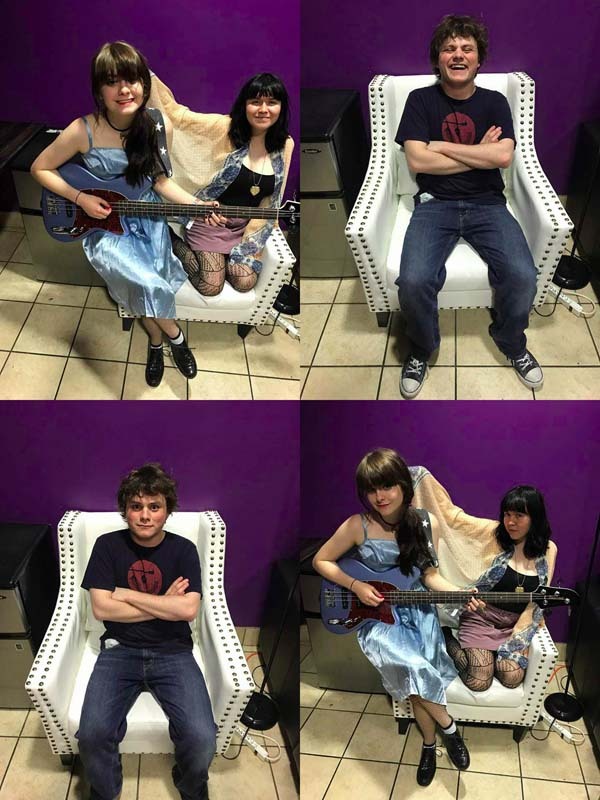 The step-sister duo is made up of Kelli Mayo and Peyton Bighorse and have recently added their brother, Kurtis Mayo, to the band’s lineup. 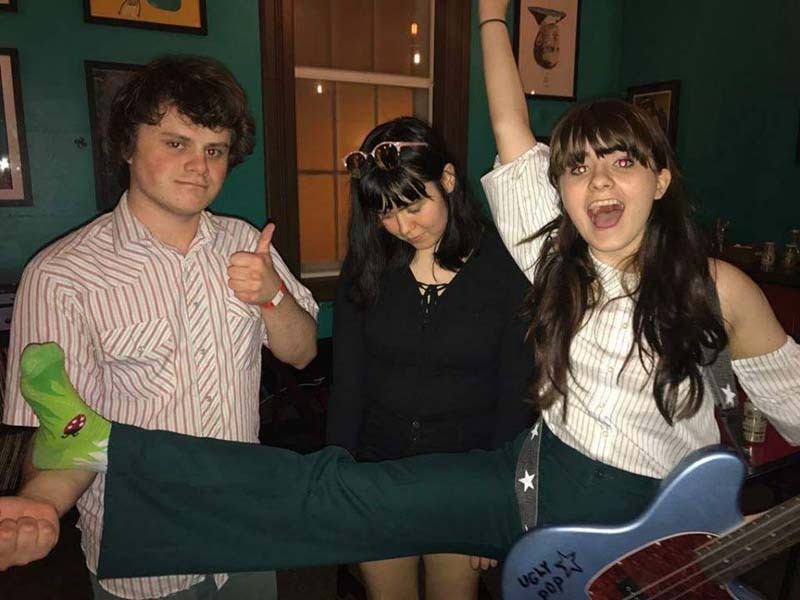 Hailing from Oklahoma City, Skating Polly describe their music as “ugly-pop” which perfectly encapsulates their DGAF approach towards convention or status-quo. The three-piece worked on their new EP, New Trick, with grunge-rock icons Nina Gordon and Louise Post of Veruca Salt. 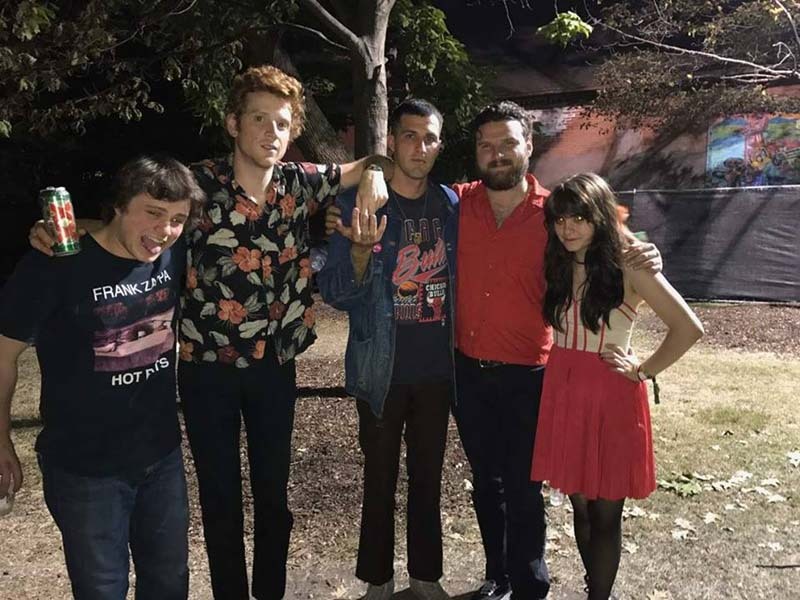 The new songs maintain the erratic moodiness that we’ve always loved about their music, while presenting a more sophisticated approach to their melodies and harmonies. This month, the "Hail Mary" musicians hit the road opening for X to play their new songs for fans across the country. Kicking things off at The Complex in Salt Lake City, the band made their way through Denver, Omaha, Minneapolis, and Milwaukee, among other cities. 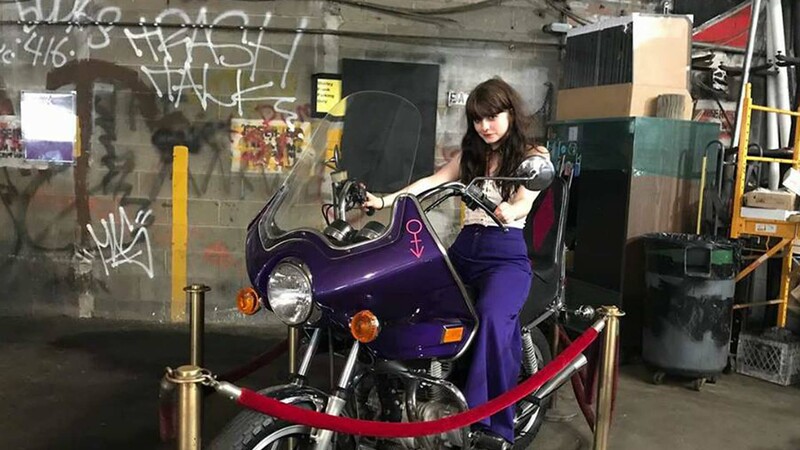 We caught up with the trio to see how their run's been going, and from meeting punk rock heroines Exene Cervenka and Lori Barbero to getting to sit on Prince’s Purple Rain bike, this tour appears to be undeniably monumental. Check out the photos below, then make sure to Track them on Bandsintown to stay updated with all their touring news! Billy watching our set in Omaha. Exene says the last time she saw him watch a set was in 2011 the first night they opened for Pearl Jam. 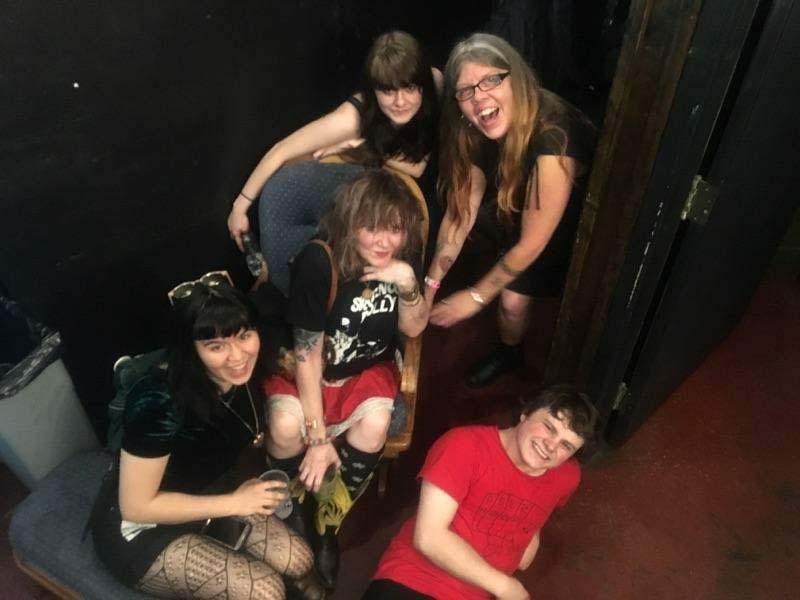 The three of us, Exene Cervenka, and Lori Barbero from Babes in Toyland hanging out backstage after the show at First Ave.
First photoshoot with Kelli's new bass. 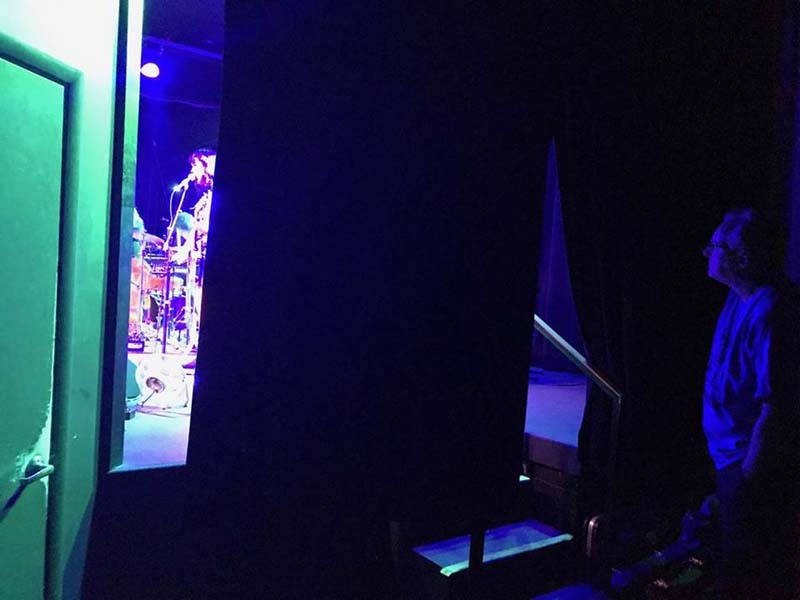 We loved the purple backstage in Salt Lake City almost as much as we loved the show. 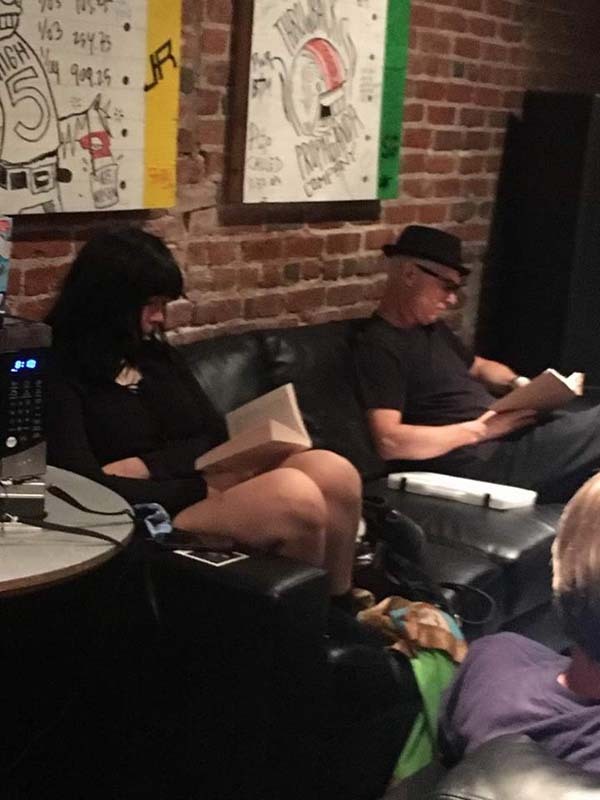 Kelli and Kurtis realized they were matching right before we went on in Milwaukee. Striped shirt, green pants. Peyton didn't get the memo. Peyton and DJ Bonebrake of X twinning right before our show in Denver. Kindred spirits for sure. Ran into our buddies from Fidlar (and Small Wigs) at Riot Fest. Mainly just geeked out about X and Nine Inch Nails then carried on with our own business. 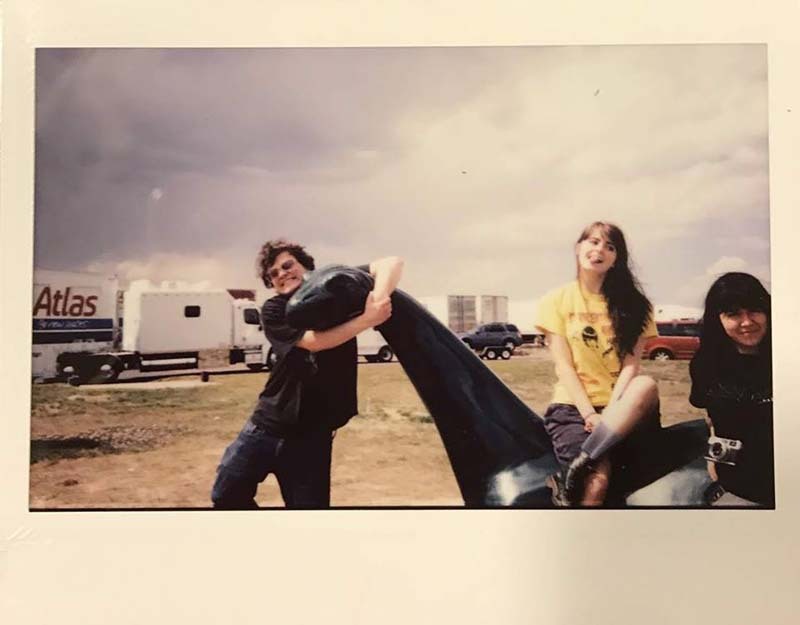 Polaroid of the three of us at some Sinclair on the way to Denver. Dinosaurs always deserve a photo shoot. 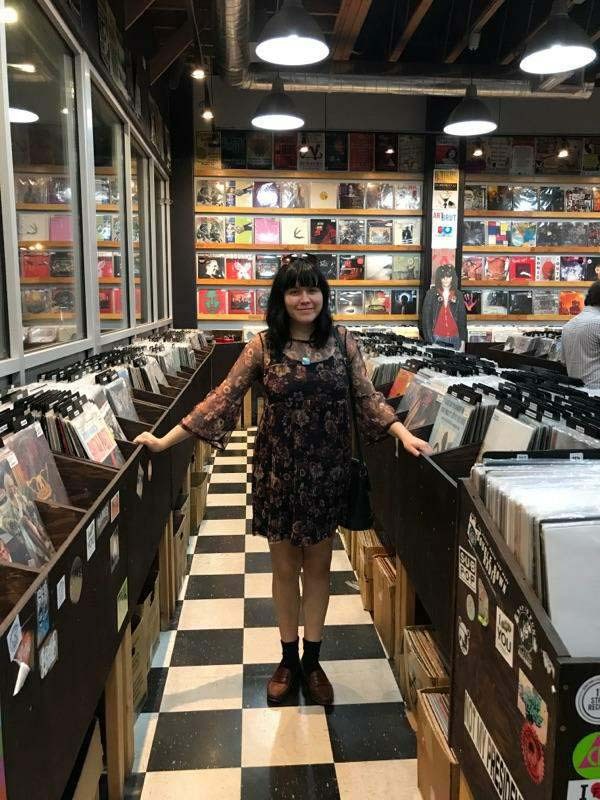 Peyton at the incredible, all vinyl, 11th Street Records in Las Vegas. Afterwards our buddy who works there took us on a "smell tour of Las Vegas" comparing all the major casinos’ scents. 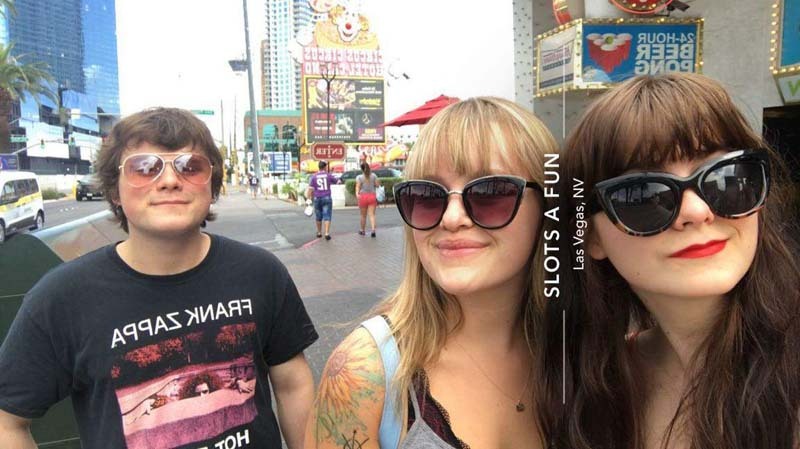 Kelli, Kurtis, and our road buddy Alice in their brand new "Vegas Shades". Glamorous as we do look, we found them all on a discount rack at Ross for $5 a pop. 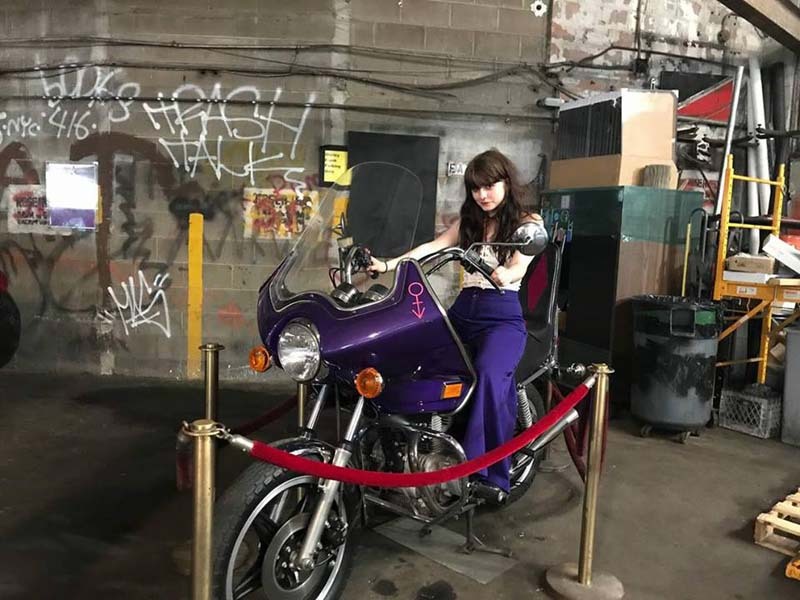 KELLI GOT TO SIT ON THE PURPLE RAIN BIKE IN MINNEAPOLIS!! !